Kassé Mady Diabaté has been recognised for decades as one of West Africa’s finest singers – the descendent of a distinguished griot family and his name, along with other griot legends such at Toumani Diabaté and Bassekou Kouyaté, is musical royalty in Mali. On Monday 27 October he releases Kiriké (meaning ‘horse’s saddle’ – an important symbol in griot culture) on No Format! Records – an album that celebrates his position as one of Mali’s greatest voices and one that will push him into the limelight. On Sunday 23 November he performs at the Purcell Room as part of the EFG London Jazz Festival. Produced by French cellist Vincent Segal, this album is the third in a series born out of the friendship between Segal and kora maestro Ballaké Sissoko, which resulted in Chamber Music in 2009 and At Peace in 2012. Long-time admirers of Kassé Mady, Segal and Sissoko set out to create an album that gave space to his extraordinary voice. The result is Kiriké and it completes the trio. 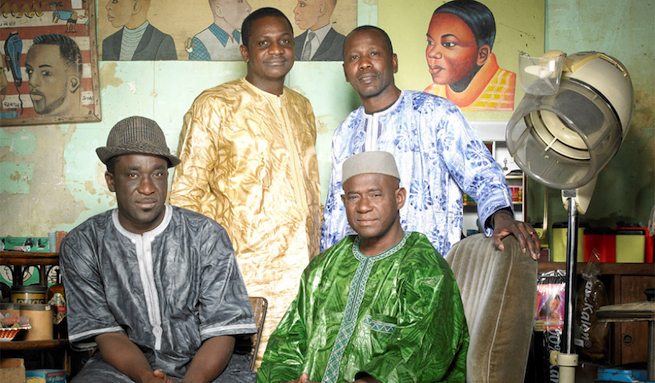 All three albums are subtle interpretations of a gentle, intimate musical current in Malian traditional music but with a contemporary Bamako acoustic sound. Kassé Mady sings in Bambara, transcribing all the nuances of the human soul into song and delivering the powerful messages of the Manding Empire that have travelled through the centuries. He is accompanied by Ballaké Sissoko on kora, Lansiné Kouyaté on balafon and Makan Tounkara on ngoni. This trio of musicians represents three major elements in Manding music: the kora music of the Casamance region, the balafon of the central zone and the more bitter-sounding ngoni of the northern deserts of Mali – all drawn together by the soft and hypnotic baritone voice of Kassé Mady. Stand out tracks on the album include the beautiful and mesmerising Ko Kuma Magni, the melodic and gentle Simbo and the understated Sadjo, an endearing tale of a mother hippopotamus who was a favourite among the villagers of Bafoule on the River Niger.